nevard_090503_catcott-37422_IMG_4631c_web, originally uploaded by nevardmedia. A spotter’s dream as 37422 ‘Cardiff Canton’ rumbles past the fledgling heritage centre at Catcott Burtle with the thrice weekly Bicester to Burrowbridge MOD working. 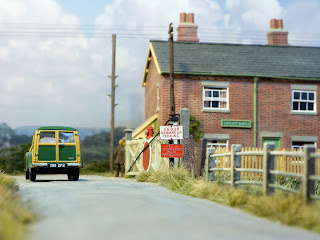 Another dose of old tosh, in a vague attempt to justifiy a 2009 working on a 1950’s layout! I guess a FGW liveried Class 153 would look the part too? Imagine if the S&D had remained open as far as Glastonbury from Highbridge? 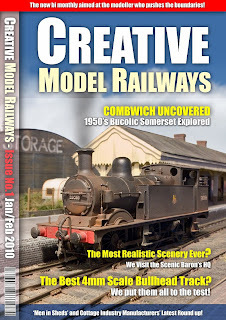 Mid June would bring ‘Glasto’ charters of revellers from far and wide… we can dream on - that’s half the fun of this model train malarkey I guess! 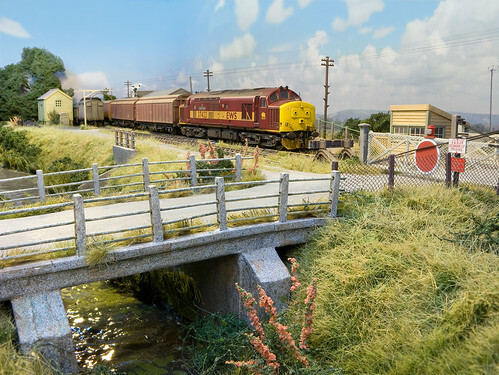 Burrowbridge is a little known (imaginary actually) military establishment bought to the fore by fellow S&DJR modeller Tim Maddock’s Burrowbridge project a few miles south of Glastonbury. Take a look at Tim’s other work if you have time, it will be well worth it.